A beautiful and evocative memoir based on the author’s summer-long love affair with a remarkable older Japanese woman in the wake of World War II—“the most romantic memoir you’re likely to read in a lifetime” (New York Times bestselling author Elin Hilderbrand). But theirs was not a quiet love story. When a member of the yakuza, Japan’s brutal crime syndicate, attempted to kidnap Yukiko, Paul realized that there was much more to her—and to Japan in the devastating wake of World War II—than he saw at first glance. Through the searing letters that Yukiko wrote to him and Paul’s vivid telling of a history made all the more powerful and poignant by the weight of time, Please Enjoy Your Happiness reaches across decades and continents, inviting us all to revisit those loves of our lives that never truly end. This reading group guide for Please Enjoy Your Happiness includes an introduction, discussion questions, ideas for enhancing your book club, and a Q&A with author Paul Brinkley-Rogers. The suggested questions are intended to help your reading group find new and interesting angles and topics for your discussion. We hope that these ideas will enrich your conversation and increase your enjoyment of the book. With an intimacy underscored by lyrical prose, Pulitzer Prize–winning reporter Paul Brinkley-Rogers brings his journalistic gifts to his own past and a long-ago love in his thrilling memoir Please Enjoy Your Happiness. More than fifty years ago, Brinkley-Rogers was a sailor aboard the Shangri-La when it docked in the seaside Japanese town of Yokosuka. While on leave, his life fatefully intersects with that of Kaji Yukiko, an older woman with a fertile mind and troubled past. Despite their drastically different backgrounds and age gap, their relationship blossoms through shared experiences, a series of letters, and deep conversations on life, love, and art. But their burgeoning love is not without its complications. Evocative and deeply personal, Please Enjoy Your Happiness is universal in its themes of love, fate, and memory. 1. 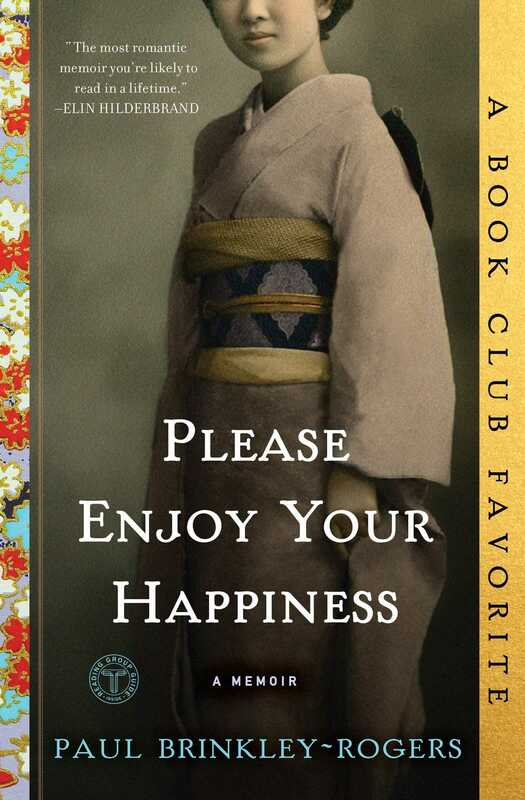 How would you describe the reading experience of Please Enjoy Your Happiness? Did you think it was a happy story or a sad story? Do you think each reader’s own experiences in love will affect his/her thoughts on the book? 2. Is it acceptable to hold on to the memories and emotions of past loves, as Paul has for Yukiko? Is there someone from your past whom you find yourself wondering about? 3. This book centers on a collection of letters and is itself written as a letter. What effect does this have on the story’s narrative? Are there pros and cons to this style choice? 4. “Please enjoy your happiness” is a refrain throughout the book. How do you interpret its meaning? Is it an appropriate title for the book? Would the title Do You Remember Me?, first considered by the author, be more fitting? 5. Early in the story, readers are confronted with a series of traumas regarding Yukiko’s past and present. How do these shape her relationship with Paul? How would you characterize Paul’s ability to synthesize these incidents? 6. How would you describe the interactions of the yakuza, the sailor-friendly taverns, and the authorities in Japan? Are there any parallels to other societies and time periods? 7. Describe Paul’s attitude toward mortality, particularly on page 55. What do you think of his notion of a clock for the end of life? Would you want to live with a clock like this? Why or why not? Would you want to attend your own funeral, as Paul suggests on page 257? 8. What, if any, understanding of Manchuria did you have before reading Please Enjoy Your Happiness? How about the relations between Japanese and Chinese societies? 9. Poetry, music, and cinema play pivotal roles throughout the book, and are even collected in the back of the book. How crucial do you think these are in bridging cultures? In interpersonal relationships? 10. Was Paul right to call out the contradictions about the Shangri-La and diplomacy at large to a superior officer? Was the chaplain justified to call this “inappropriate thinking”? How would you have handled the conversation, as either Paul or the chaplain? 11. What was your reaction to Paul’s decision to visit the Hall of Flowers and what transpired there? 12. Was Paul and Yukiko’s real-life good-bye a fitting ending for you or a frustrating one? Even though this is a memoir, and not fiction, what would your ideal good-bye have been? 13. Was Yukiko successful in creating her “pure love”? Do you think she may have regretted her decision to part as the time approached? 14. The style of Yukiko’s letters is appealing in its feminine and almost childlike openness and simplicity. Yet we are touched by her restrained candor and mature wisdom. How does this style of writing by a Japanese woman compare with what you know of the writing style of other cultures? 1. Visit a nearby Asian heritage or cultural center to learn more about the time and place described in Please Enjoy Your Happiness. 2. Have a screening of one of the films mentioned in the book and discuss its particular significance to Paul and Yukiko’s story. What themes and plot devices resonated with you the most? Why do you think they so encapsulated the relationship in the book? 3. Have each member write a letter to a loved one who has fallen out of contact. Is there a particular catharsis to writing and reading your letter? 4. Listen to the music references in the text. These pieces of music can be easily found at youtube.com and are listed at the back of the book. Then, as a group, discuss how the music may have enhanced or detracted from the mood. What role does music play in memory? Why did you decide now to share your story about Yukiko? Were there other times in your life that you contemplated telling this story? Becoming older and becoming more nostalgic and appreciative for moments and people important in my life was probably the primary reason for writing the story. The rediscovery of Yukiko’s letters was the triggering factor: Now that I am in my seventies and can afford to be contemplative instead of focused almost exclusively on daily journalism, I have a great chance to assess and better understand my past. Naturally, readers will want to know if you have since learned anything more about her or her fate—have you? Is there a part of you that wants to track her down, or at least reconstruct her past? Almost everyone wants to know if I have learned anything more about the fate of Yukiko. I have nothing new to report about that. 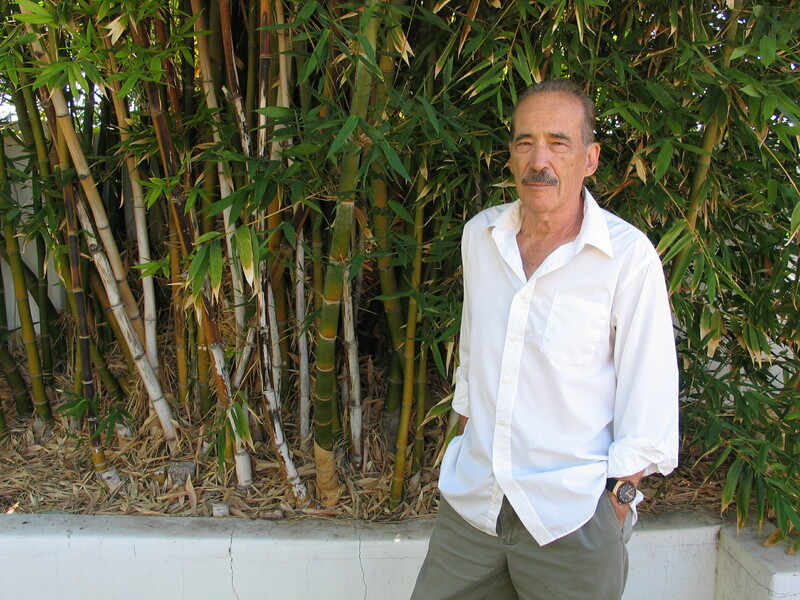 Everything is as it was when I finished writing the book. If the story goes into Japanese translation and there is buzz in Japan about her, it is possible of course that she, or her relatives, or friends of whom I am not aware, may come forward with information. If Yukiko is alive, I would dearly love to know if she kept and still treasures my letters. Do you think you and Yukiko could have formed this type of relationship at another time and under different circumstances? For example, could you two have developed the same intimacy and understanding had you not been a youthful sailor in a foreign land? Our friendship, or relationship, came out of a time and circumstance that was unique and could never be repeated. Pre-texting, pre-email, pre-Skype, pre-Facebook. It was the time of the typewriter and the handwritten letter in a year when deep thought and sentiments could carefully be put to paper. I was a naïve young man awed by her wisdom and courage. She was on the run. She kept most of the details about her yakuza past secret from me, maybe because she felt shame, maybe because she did not want me to experience the danger she faced, maybe because she thought I was too young and didn’t know enough about her culture to understand the truth. Detective Nazaka sometimes filled in the blanks out of genuine goodwill, I believe. Yukiko had a difficult life before she met you, yet you handle it on page with a lot of grace. Were your reactions and emotions different at that moment in time? Had you previously met someone who had endured so much in a relatively short span? I lived through the entirety of World War II. I played in bombed-out buildings as a child. My family was evacuated from London during the war to northern England, where things were less dangerous. For a few months one summer, before I was a teenager, I lived with a Belgian family in Ghent who had been involved in the resistance against the Nazis. (Jean Ingles, a hero of the resistance executed by the Nazis, was a member of this family.) I had images of war in my mind from an early age. But I was not aware of what happened in Manchuria until I met Yukiko, and even then I didn’t know much until I used the Internet to research the fate of Japanese colonists forced to flee at the end of the war. The story is a vivid and evocative one, practically a sensory experience, constructed from memories. Were there any exercises you did to fully render these long-ago moments? What was the thinking and writing process like in reconstructing this section of your life? It was not difficult to recall and experience again what happened in the sensory passages in the book. That was one special pleasure in writing it. I remembered the fragrance of her perfume. The earthy images of sweat. The smell of street food. Yukiko’s delightful laughter. Her smile. Her occasional temper. On the ship, I clearly recalled the mood of the difficult exchanges with the chaplain. In Hong Kong, the sounds and the night shadows of the sailor’s bars, plus the strange interior of the Hall of Flowers, were all there front and center in my mind as I wrote. Of course, watching Japanese black-and-white films from the 1950s helped create detail, and listening to popular Japanese music on old vinyl records and to images and sounds at youtube.com also helped refresh memories. Membership in the Japanese Culture Club of Arizona, many of whom are Japanese women, helped me remember mannerisms and ways of talking. You were born in the United Kingdom, yet came to the United States during a critical time in that nation’s history with respect to race relations and civil rights. What was it like being a relative outsider to the movement? How about while aboard the Shangri-La? Do you see any parallels to today’s society and rhetoric? The book makes it clear that I had a difficult time dealing with race relations and other social and political issues of the 1950s in the United States. I found racial prejudice especially difficult to understand to the point that I would react angrily and with distress to conversations in which people made racist slurs. It was a major disappointment for me, and I could see no reason for it. When my family first settled in the USA in the mid-1950s, we lived on the south side of Chicago. Our landlord was East European. Many people in the South Pulaski Road neighborhood were African-American and the first friendships I made were with black Americans. How important was it for you to include all the various art and media in the book? Was there research involved to get them all? Was it fun cataloging all these things for readers? Art, literature, and film were all an important part of my experience in Japan in 1959. Yukiko made sure of that. My patient but often demanding guide to Japanese culture was Yukiko, and she did her best to make me familiar with the best of everything, both contemporary and ancient. She did so with excitement, enjoying my startled responses and my enthusiasm to know more. It was thrilling when I was watching a film or listening to music as part of my research and the moment came when I realized I had seen a film before or listened to that song before, with Yuki at my side. And then, I also had Yuki’s letters, which are a sensory experience themselves. Opened, I can smell a hint of her perfume. Read aloud, I can hear her voice. Her DNA is on the paper. She folded the pages when she put them into envelopes. I often think how sad it is that because of new habits and modern technology, the young people of today will not have letters to appreciate in old age. You speak candidly about mortality. Are these feelings you’ve always had or were they developed later in life? Do you think we would all be better off knowing when the end is coming? Or is this a philosophy each person has to develop on his/her own? Maybe my acceptance of the inevitability of death dates back to my life as a war correspondent in Vietnam and Cambodia in the 1960s and 1970s. I had several close brushes with death; I was shot at several times and heard the bullets sing by. One night in Vietnam I was in a helicopter watching tracer bullets coming at us like dots and dashes in the sky. Many good friends who were photographers and writers vanished in Cambodia. In one month that I was there, twenty-three of them vanished doing the same things that I did day in and day out, running the roads in search of the front line. Those experiences are the heart of the second memoir, which I am writing now. Personally, I would like to have advance notice of the end of life. I am active, but I would be much more active if I had a clue. But how to make that happen I don’t know, other than taking one’s own life, and that is not my style. The book ends with you discussing Yukiko and the letters with your son. What has been the reaction of your family and friends to this part of your life and long-lost love? Any parting advice on life and love for your readers? Parting advice on life and love? “Aye” as they say in Latin America, with the top of the hand as it brushes the brow. Aye! There is something to be said for living fiercely, although there has to be an anchor: a spouse, an important love, a family, close friends, a good cause. There is always something to be enjoyed and learned even in hardship (I am sure Yukiko once told me that). The tough part of life for me has always been the love part. There is the surge of joy when falling in love happens. It is the life force, always to be relished. But there is mystery behind it. “El amor es una forma de locura” (Love is a form of madness), they say in Spanish. How many times have I heard that said . . . a lot! But those who say that are still in search of love—if not the perfect love, then a love good for the soul. "Please enjoy…the most romantic memoir you're likely to read in a lifetime." "A moving memoir exploring the last imprint of his first love."